The Blanton Museum of Art presents Natalie Frank: The Brothers Grimm, an exhibition of more than 30 gouache and pastel drawings by artist Natalie Frank, a New York-based Austin native. Organized by The Drawing Center in New York, this presentation explores the nineteenth-century fairy tales of Jacob and Wilhelm Grimm, including well-known stories such as Cinderella and Snow White, and more obscure tales such as The Lettuce Donkey and The Ungrateful Son. Her drawings function as a feminist reimagining of the stories. In them, Frank renders key scenes from each fairy tale, investigating the ways in which they address gender, sexuality, and complex familial dynamics. Drawing upon the history of illustrated books, figuration, and personal and political narrative, Frank’s drawings represent the largest collection of Grimm’s fairy tales ever illustrated by a fine artist. A virtuosic painter, she has chosen to work exclusively—and for the first time—in gouache and chalk pastel. Her decision to translate the Grimm stories into drawings is fitting given the tradition of illustration in these narratives: although the first editions were not illustrated, a third Grimm brother illustrated subsequent editions as part of a larger sanitization of the tales that attempted to increase their broad popularity and appeal to children. Many of the stories we identify most closely with the Grimms today we associate with illustrations that have denied these stories’ dark and original forms. The Blanton has recently acquired seven works from Frank’s Brothers Grimmseries: four drawings dedicated to Cinderella and three devoted to Rapunzel. This exhibition marks the first time that they will be presented at the museum. Storyteller Tom Lee performs a selection of stories depicted in Natalie Frank's drawings of the tales of the Brothers Grimm. This performance emphasizes the stories as they appeared in the first edition, with darker tones than the later revisions. 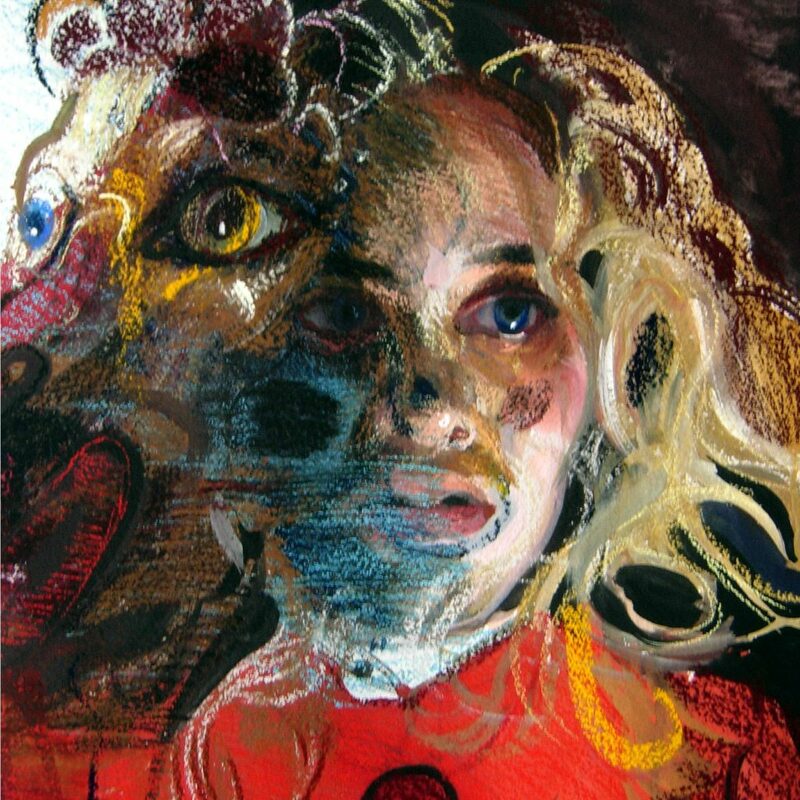 Natalie Frank: The Brothers Grimm is organized by the Drawing Center, New York, and made possible by the support of The Evelyn Toll Family Foundation, Merrill Mahan, Stephanie Ingrassia, Sarah Peter, Kim Manocherian, Irwin and MaryAnn Gold, and Liz Parks. Special thanks to Rhona Hoffman Gallery and ACME. Funding for this exhibition at the Blanton is provided by Beverly Dale, Eric Herschmann and family, Jenny and Trey Laird, and Kathleen Irvin Loughlin and Christopher Loughlin.